2b. FM15/16 - click 'Preferences'...click 'Interface'....click unticked 'Use caching to decrease page loading times and click tick 'Reload skin when confirming changes in preferences'.....click 'Reload Skin'. ALWAYS when you download other pack, DO 'CLEAR CACHE then RELOAD SKIN AS ALWAYS after download to folders. 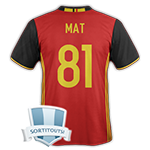 For club Bruges not working, error you forget the s at the end related to the pictures name. Royal Mouscron, the id is incorrect. Can you put that pack ... with mediafire ? For Club Bruges, you need to put "s" at the end. For Mouscron, the good ID is : 8154758. But for Charleroi Home kit, i don't know what's happened. 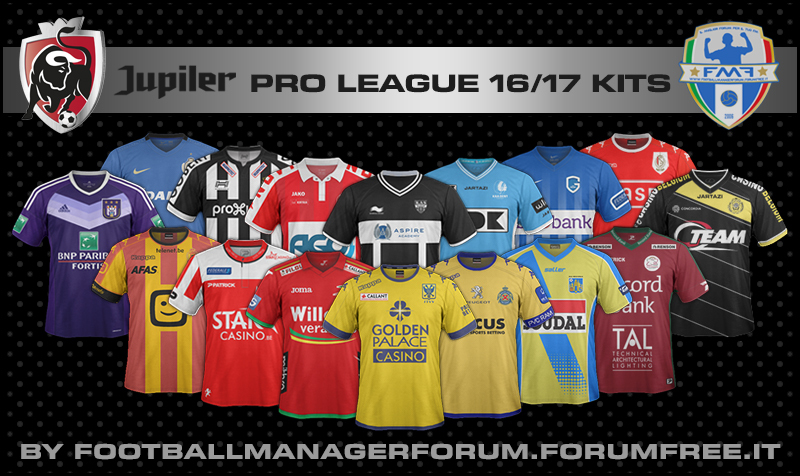 Belgium - jupiler Pro League SS'2016/17 Relink! (05/11/16) - Not SSKCC yet! After using the relink, the shirts of Mouscron do not work. Yes I did the SSKCC, started a new game, followed the instructions. mine working fine...did you know you see 'Relink' and date, you may not download after this date? I think I downloaded it after this date. like i say try SSKCC...remember clear cache, reload skin then start a game! very strange, but no worry, I don't play those clubs. Satisfied with the work and kits you put on this site. ok but i can help, make sure put right place in folder, clear cache, reload skin then start.....so which one team not showing kit? Any update on the Charleroi fix? remove SSKCC and Belgium pack...then download SSKCC and Belgium pack, clear cache, reload skin, start a game. Charleroi Home still not working too for me, someone get solution? 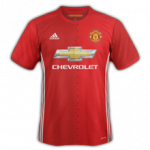 its working for me, you may need remove SSKCC and this pack....then go get download SSKCC and here. yeah me too i wish! sorry.